Filling out an [OSR Guide For The Perplexed Questionnaire], my answers are inline. A bit of a cheat, but the index of Secret Santicore PDFs demonstrates a community dedicated to crafting all kinds of interesting ideas. I love Dungeon Crawl Classics #66.5: Doom of the Savage King, a small sandbox with numerous approaches. It would’ve been around 2011. I was following blogs about gaming, especially learning about Dungeon World. It was a take on old school gaming. And in September 2011, I bought the 1st edition of Death Frost Doom and the Grindhouse Edition of Lamentations of the Flame Princess. Google+ and through other blog postings (get the OSR OPML from Save vs. Total Party Kill). Don’t give me a backstory, make it happen at the table. OSR games use a familiar and common rules framework, focusing instead of content and ideas. Instead of introducing yet another boutique set of rules, energy is spent creating and mixing ideas. Furthermore, much of it is released under the OGL, meaning the rules remain free for future use. My Random Bond generator for Dungeon World; Useful for connecting two NPCs together. I’m running a 5E game using the Tomb of Annihilation adventure. As I continue to increment the Death Save DC, I relish the dread of the players. I used THAC0 and BAB, both work fine. Besides, shouldn’t you be running from monsters anyway? 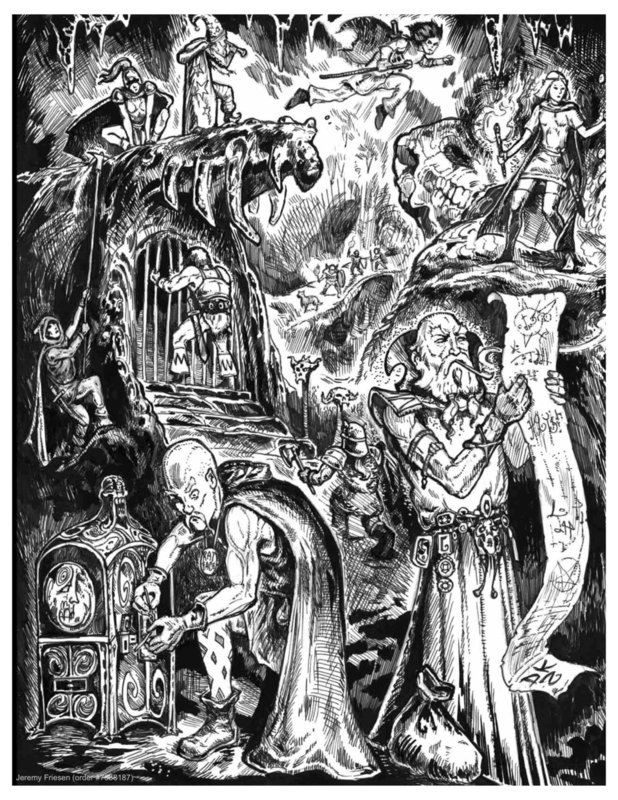 My Response to an OSR Guide For The Perplexed Questionnaire by Jeremy Friesen is licensed under a Creative Commons Attribution-NonCommercial-NoDerivatives 4.0 International License. Based on a work at https://takeonrules.com/2018/10/12/my-response-to-an-osr-guide-for-the-perplexed-questionnaire/. Permissions beyond the scope of this license may be available at https://takeonrules.com/more_permissions/.